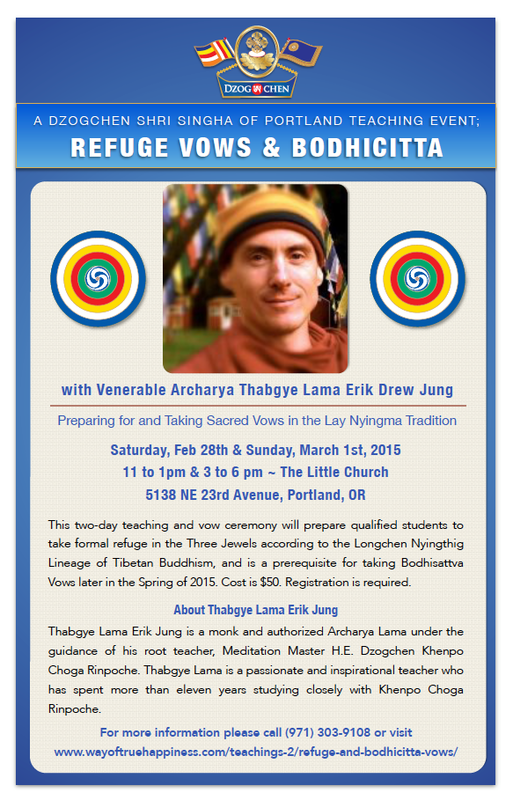 Dzogchen Shri Singha of Portland is happy to present a weekend teaching workshop and vow ceremony with the Venerable Archarya Thabgye Lama Erik Drew Jung. Saturday will be devoted to teachings on Taking Refuge in The Three Jewels of Buddha, Dharma and Sangha. Sunday morning, Thabgye Lama will confer refuge to interested and qualified* students in attendance. Sunday afternoon Thabgye Lama will prepare interested students for Bodhisattva Vows which will take place later in the Spring. Everyone – curious newcomers and long-term practitioners alike – is welcome and encouraged to attend. Please note: while it is not necessary to take vows if you attend this series of teachings, it is necessary to attend all of these teachings to receive the vows. *Qualified students include anyone who has, with a clear mind, free from coercion, both set the aspiration to receive these sacred vows, and attended all sessions of this teaching. 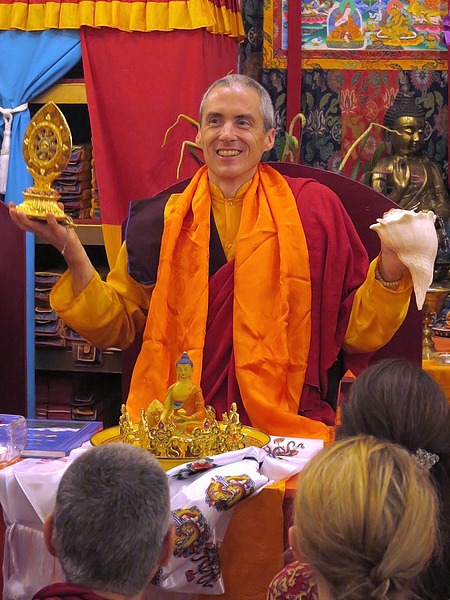 To make a joyful donation to our dharma activities, please click here.